But has LG left it too late? LG is in discussions about bringing a new tablet device to Europe in light of the rapid growth in the market and its competitors offering next-gen products. Speaking to TechRadar LG's UK Product Manager Shaun Musgrave confirmed that LG is aware of the popularity of tablets and the cross-platform opportunities offered by the latest version of Android, Ice Cream Sandiwch. Musgrave said: "LG is having discussions about future tablets, but tablets are not our [LG's] main focus at the moment, as we're looking to provide the best mobile experiences for users as found on the Optimus 4X HD and Optimus 3D Max." LG already has its finger in the tablet pot with the Optimus Pad LTE which will be heading to places such as Korea and the US, but not to us here in the UK thanks to our lack of a LTE network. 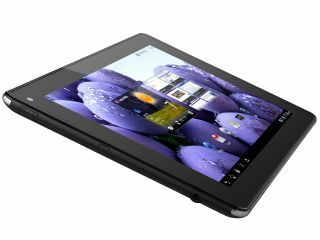 We saw the LG Optimus Pad hit the UK last year toting Honeycomb 3.0 and a 3D camera, but this has been superseded by the likes of the iPad 2, Samsung Galaxy Tab 2 and Asus Padfone. LG needs to bring a new tablet to Europe sooner rather than later, as it risks being left behind as other companies make a name for themselves which may see consumers overlook LG in the future.